Hey lovelies! 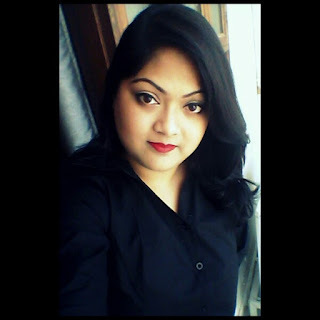 I have been away since too long due to some personal reasons and it took me quite some time to get back to blogging. Guilty as charged ;) But finally I am back again with some really cool stuff for your makeup vanity. 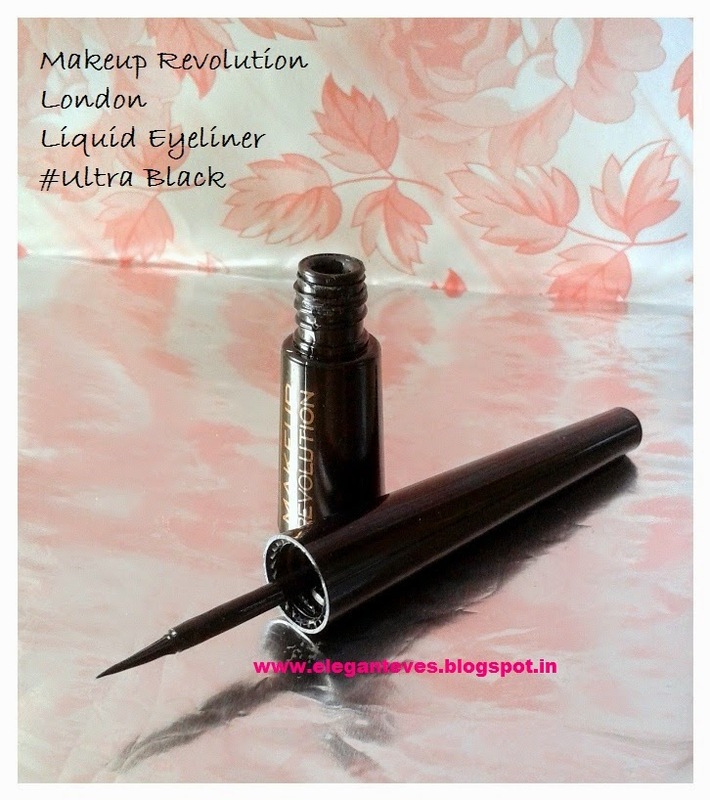 Let’s begin with an absolute basic one- Liquid black eyeliner. 2. The brush should be good. 3. The consistency should be neither too thick nor too runny because the latter compromises with the pigmentation and the former make application very patchy. So, did this beauty fulfill all my requirements? Read on! 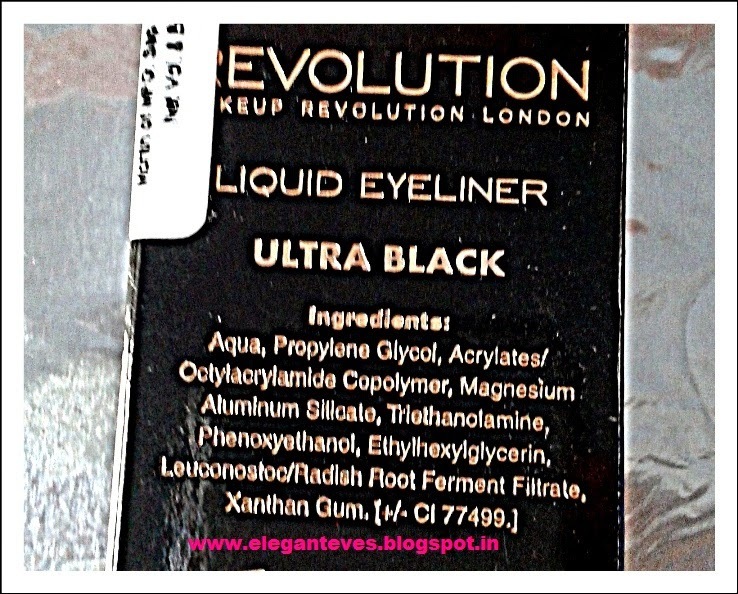 Packaging: The eyeliner comes encased in a functional black carton with copper lettering and the eyeliner bottle is of black plastic. 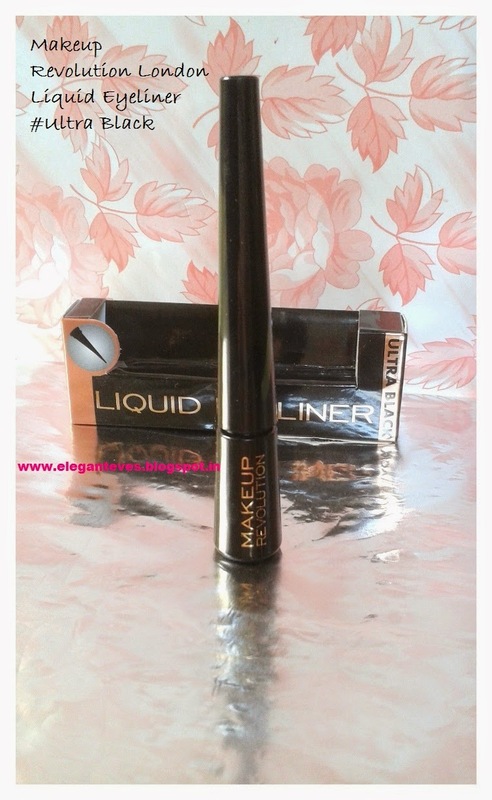 The BEST and most unique part about this liner is its brush. I have never used something like this before. It is neither flimsy bristles kind of brush, not it is the total stiff felt-tip! It has got stiff pointed bristles which gives you the firmness of felt tip while allowing you the flexibility of a brush! In short, it is perfect for even amateurs in the “art of drawing winged lines” ;) There is no pulling, tugging, or poking the lidd kind of feeling with this unique brush. 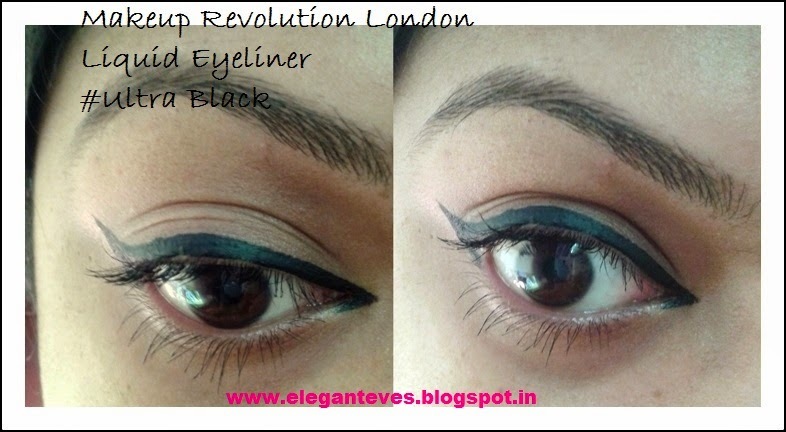 It picks up JUST the perfect amount of liner required for drawing a complete line on the upper eyelid. 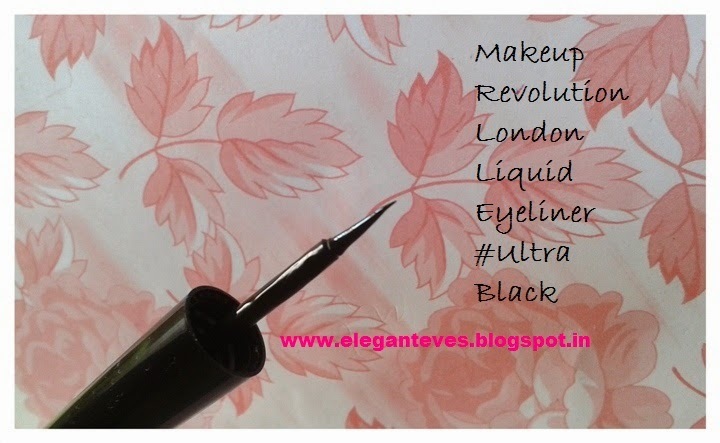 My take: This liner has completely wooed me- First the awesome brush, and then the perfect consistency of the liner. Then the mind-blowing pigmentation! 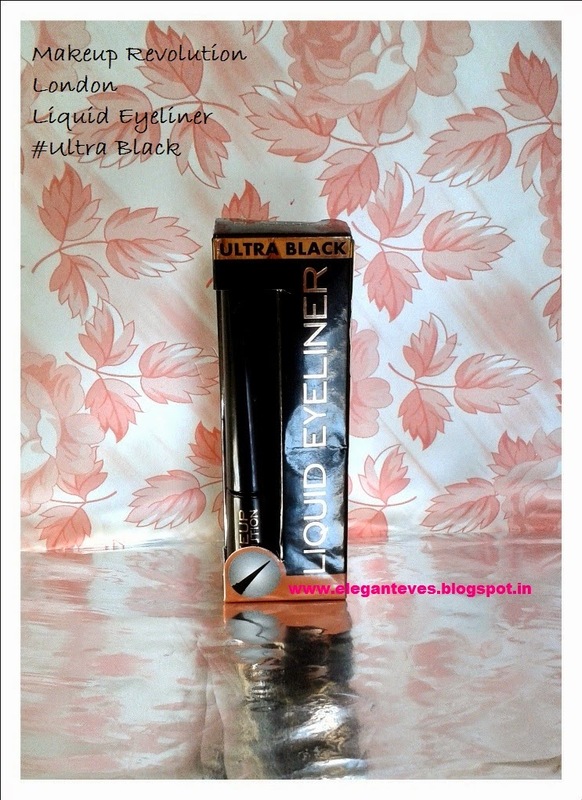 Yes, it is THE most pigmented eyeliner I have used so far. Rich intense matte black- what else would I want? 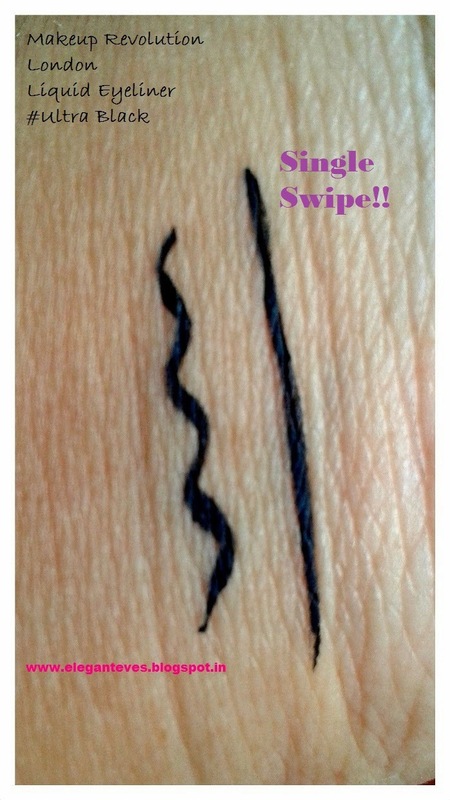 <3 One swipe gives the desired color on lids. No need to go over again and again with the brush at all. The staying power on my eyes is 10 hours without even slightest fading. 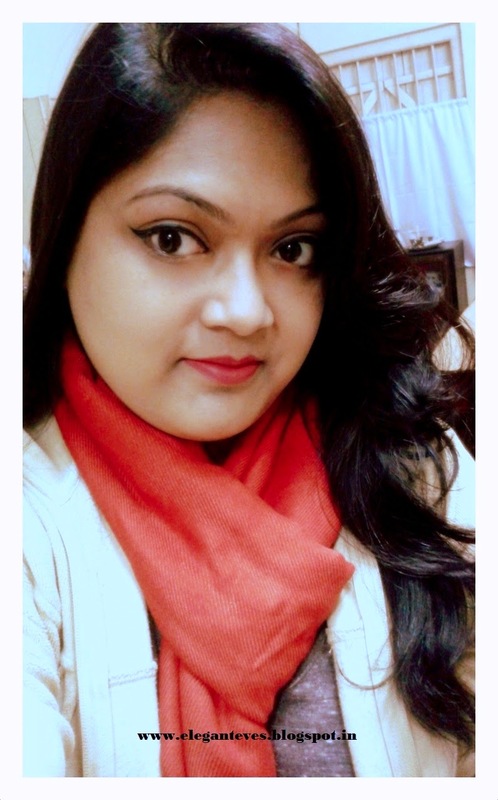 I had this eyeliner on since 7 am in the morning today till 5 pm in the evening (We had gone for a picnic) The entire day I was rubbing my eyes because of extreme dusty wind there. But the eyeliner didn’t budge a bit. In the evening I had to remove it with a makeup remover. Check the swatches below. 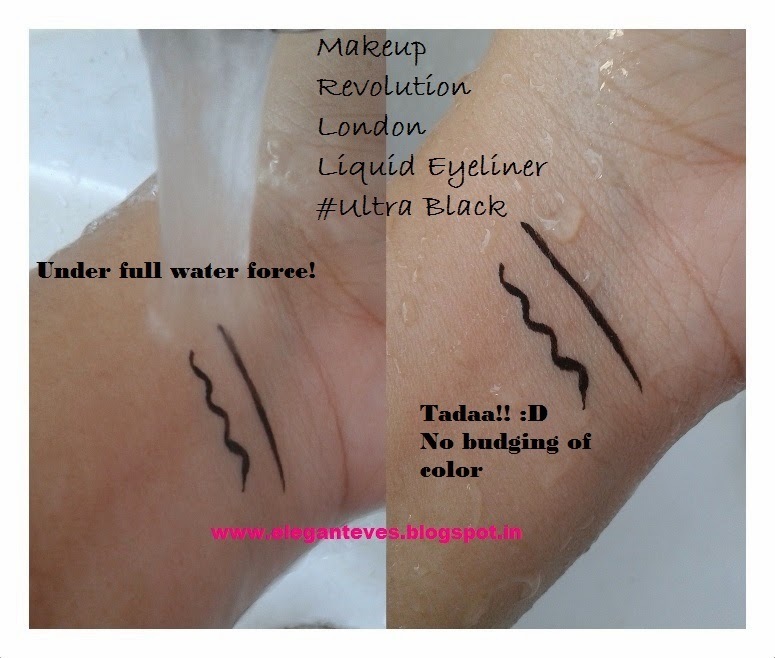 It takes just few seconds to dry and I have tested its waterproof quality but keeping my hand under running water. See? There is no fading! Only after I vigorously rubbed the lines with my fingers for 5-6 times, there was little flaking. 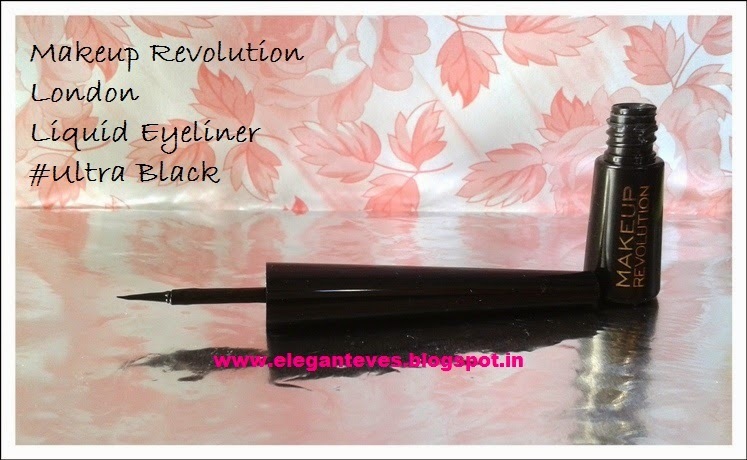 In a nutshell, this eyeliner will find its way to my vanity again and again! This is probably the first product which I cannot rate anything less than 10. 1. Availability is an issue. Currently only Jabong.com stocks these. 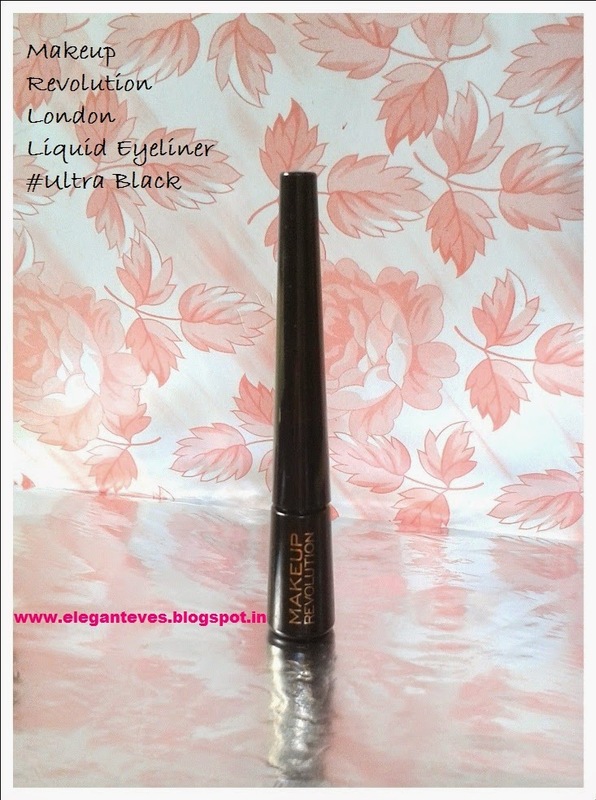 Recommendation: Elegant Eves recommends this liner to every woman who loves intense matte black eyeliner. The brush is truly one of a kind!